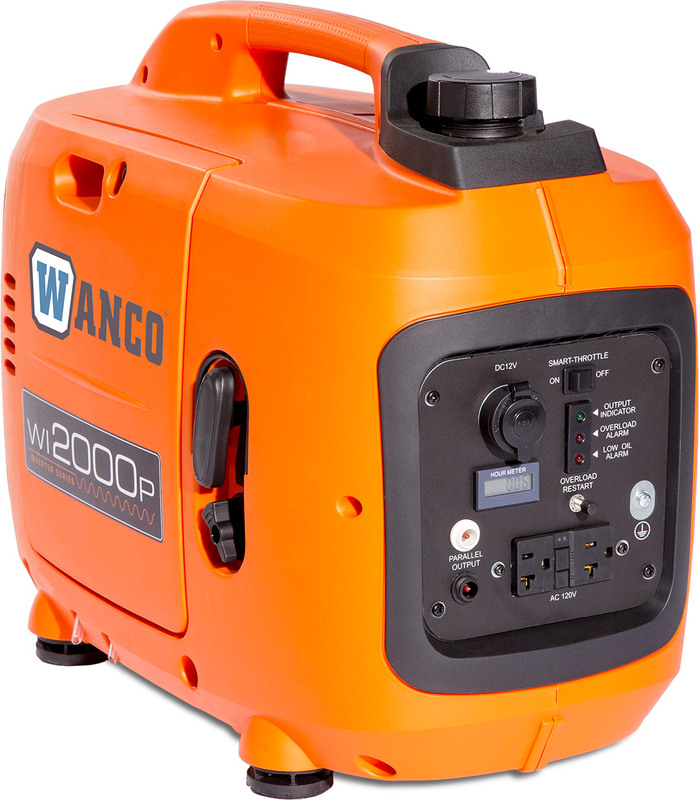 2000 Watt Inverter Generator - Wanco Inc. The super quiet WI2000P gives you plenty of clean, pure power in a compact, portable design. Advanced inverter technology provides reliable power to a computer, radio or television, as well as other sensitive equipment, yet it is powerful enough to run a small refrigerator. With its parallel capability, you can connect an additional parallel generator to increase power output. A powerful LED floodlight attachment is optional. This model is EPA and CARB compliant.